Anne Thompson: Why did you cast "Twilight" star Robert Pattinson as your ice-cold 28-year-old Master of the Universe? 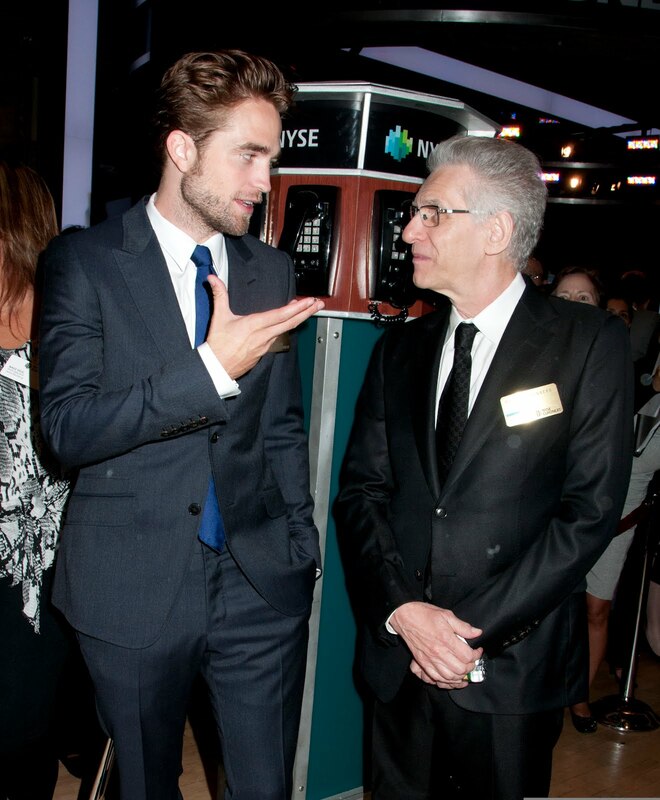 David Cronenberg: Of course you begin with the basics. Is he the right age for the character? Does he feel convincing as a screen presence? Obviously you need someone with charisma to hold the audience for the entire movie. He's in every scene without exception, that's unusual. You want someone proven, who people want to watch, who will never be boring. I knew I would be crawling all over his face for the entire movie, so I wanted someone whose face is constantly changing, through all the angles. And he had to have chops for tricky dialogue. The art of casting is to intuit, to see from what he's done before that he could do this. Was there a particular performance that gave you confidence? I saw him in "Little Ashes" as the young Salvador Dali. He does a Spanish accent, he was not afraid to play a character of ambiguous sexuality and eccentricity. That probably of all the things I saw made me think he was the right guy. Did you cast Pattinson with a certain likeability factor in mind, so that audiences would like him in spite of the character he is playing? Feel some vulnerablity? I really don't care. I want the lead character in a movie to be interesting, fascinating and complex, but to be likeable to me is way down the list. It's not on the list, because it is a simplistic thing for the lead character to must be likable. He has to be watchable, that's the key, and fascinating, and likeable if it works for the project, fine, let him be likeable. If not I don't worry about it. There are actors who do not want to play unlikeable characters, afraid it will damage their credibility as stars or effect them personally. Actors who are more interested in being actors than stars, like Viggo Mortensen, don't worry about being likeable or not on screen. How did Pattinson surprise you? He literally surprised me every day, as he read dialogue and interacted with the other actors. We were throwing different factors at him almost very day because of the stucture of the screenplay. He really has extended scenes. With one actor at the end, Paul Giamatti, he really let it fly, in that he didn't cling to a preconceived idea of what he should be doing. He reacted spontaneously to other actors as they surprised him and he surprised them. He was terrific and not predictable and dead-on accurate. How many takes do you do? One or two. The whole last shot was a long take with Giamatti, three minutes in that last 22-minute scene.